Congratulations to the 2018 winner of the Jane B. Aron Memorial Prize: Wei Guo! The Prize is awarded annually to a graduating philosophy major at FCLC—it is the highest departmental honor, and the winner gets $2000 towards tuition! 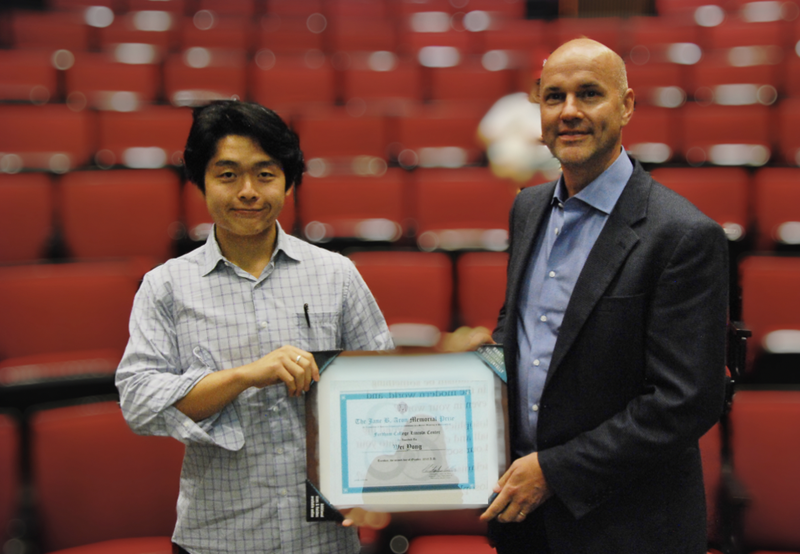 Pictured here are Wei and Dr. Stephen Grimm.